Love to barbecue? Have a grill? 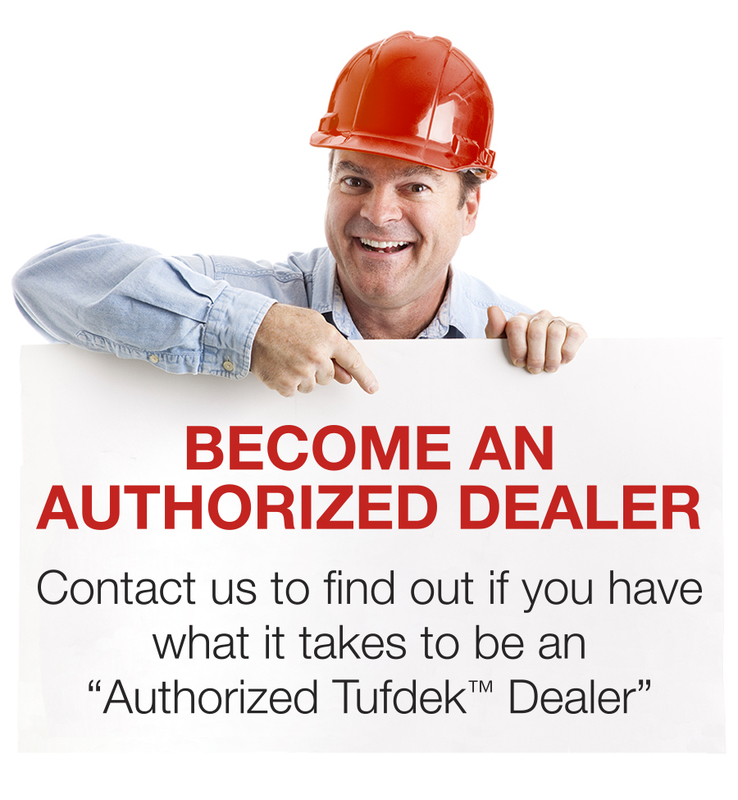 Then you’re most of the way there – all you need is some Tuff Industries-tested tips to guarantee your next vinyl roof deck barbecue’s success. 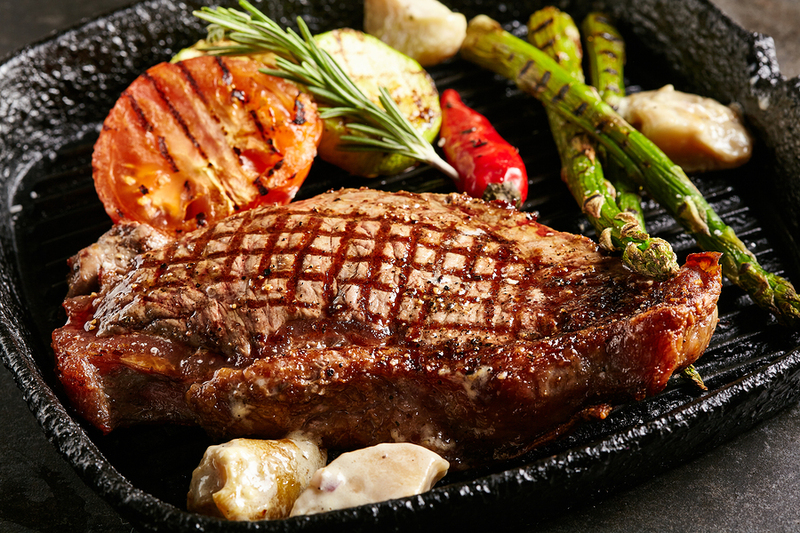 Rib Eye: A luxurious cut, tender, good flavour. Hanger (Butcher’s Tenderloin): Good flavour, tender, and affordable. Flatiron: A chef’s favourite, tender with an earthy flavour. Skirt: Affordable and flavorful. Slice against the grain. Porterhouse: A combination of filet and New York strip. A great marinade goes a long way towards making a memorable meal. Besides adding flavour, most marinades help to tenderize the meat (important for the tougher cuts). Marinades need 20 minutes to 2 hours to get the job done, so keep this in mind when you are preparing for a barbecue feast. Be cautious using untested marinades overnight as they can cause over-softening or create an unappealing texture. Mix ingredients and cover steak for 30 minutes or longer. Mix and let marinate for 4 hours to overnight. Grill for 6 minutes on med-high heat, flip for 4-5 minutes and then remove from heat. Most marinades are composed of something acidic, like vinegar, plus oil and some flavouring (garlic, soy, etc.). Start with an oil/acidic ingredient ratio of 3:1. Sticking to this ratio helps to provide enough acidity and enzymes to break down and tenderize the meat, while the oil will help to lock in moisture. Make sure the oil you choose can stand high temperatures without smoking – like safflower, canola, or sesame. Tip: When marinating, remove your meat from the refrigerator at least 20 minutes before you put it on the grill – so it has time to come to a steady temperature before cooking. Pat meat dry before placing on the grill. Preheating your grill first also helps to seal in juices and flavour. There are tons of ways to experiment with your grill to get a variety of flavours. Placing wood chips in a foil basket over the grill can imbibe your meat with a delicious smoke flavour. Cedar planks, soaked in water, can be used for fish, and many types of meat and vegetable can be cooked inside parchment paper parcels to lock in moisture (throw in some fresh herbs too). There’s nothing more frustrating than being knee-deep in barbecue glory, only to find that you’re missing key utensils to get the job done. If you don’t have a fully-stocked outdoor kitchen (yet) installed on your vinyl roof deck, get all the tools you’ll need before you start grilling. Also, ensure you protect the vinyl roof deck membrane, never grill directly over top. You can find bbq mats at most home improvement stores, or if you have a spare piece of vinyl decking you can use that to protect the surface. Many sides can be prepared beforehand to save time, let you focus on grilling, as well as freeing up your time to spend with friends and family. What about Your Vinyl Roof Deck? Before you start planning a gathering, check over your vinyl deck. You’ll want to ensure that it’s safe and secure, as well as checking that your vinyl membrane is intact to protect the underlying structure. If you spot any problems, consider having a professional vinyl deck contractor take a look and make repairs prior to your barbecue. 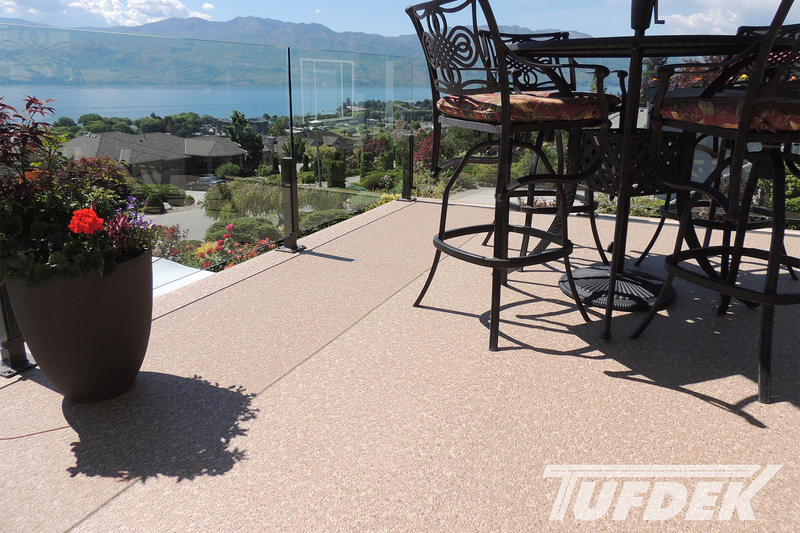 Of course, if your vinyl decking surface is looking a bit…shabby, then it might be time for a Tufdek™ renovation to make it feel (and look) like new.